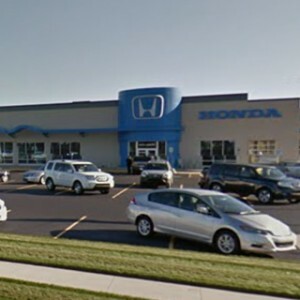 It can be tough for a vehicle to shake the stigma of being a gas guzzler, but Honda has helped vehicles like the Pilot, HR-V, and CR-V become some of the best gas mileage SUVs in Mid-Michigan. These three crossover SUVs are fuel sippers, but there’s a lot more to each of them than their fuel economy numbers. 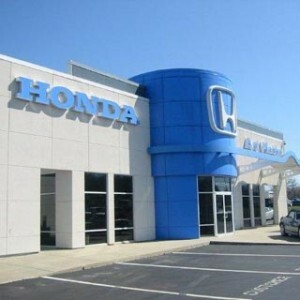 Take a look at what each of these vehicles has to offer in addition to fuel efficiency, including 2016 Top Safety Pick+ awards from the IIHS,* high towing capacities, and all-wheel drive available at every trim level. 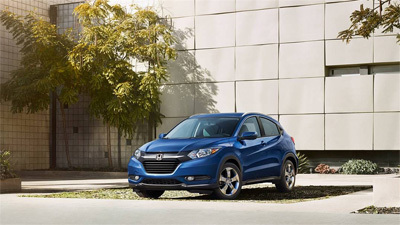 Not only the newest SUV from Honda but the newest vehicle in the lineup, the 2016 Honda HR-V represents the future of the compact crossover: sleek, stylish, and above all else, fuel efficient. 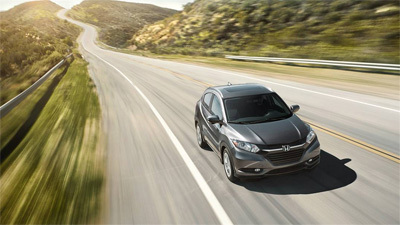 Every 2016 HR-V has a 1.8L 4-cylinder engine with 141 hp and 127 lb-ft of torque. 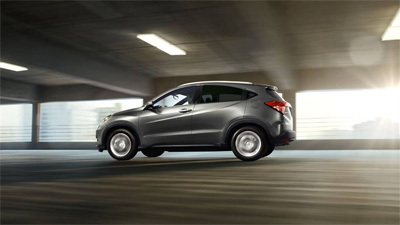 Michigan drivers know the power all-wheel drive brings on snow and on uneven terrain, and each of the HR-V’s three trim levels is available with Honda’s Real Time All-Wheel Drive. 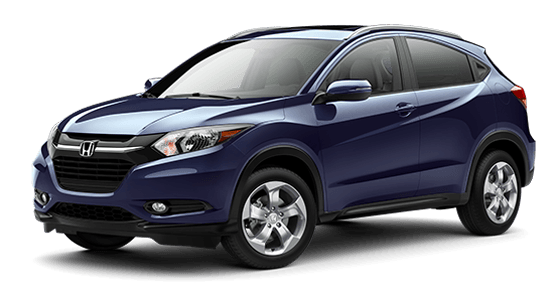 The 2016 Honda HR-V is not just one of the best gas mileage SUVs available, it has a range of advanced tech features as standard, including a multi-angle rearview camera, Bluetooth HandsFreeLink for phone and audio, a 5-inch LCD display in the dash, and much more. The Honda Magic Seat lets you switch from cargo to passenger space in seconds, without struggling with clumsy latches or levers. 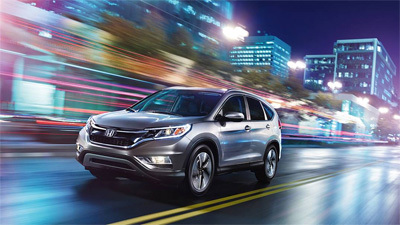 The crossover revolution of the ’90s started with the Honda CR-V, and it’s been the pace car for the sporty, midsize SUV class ever since. 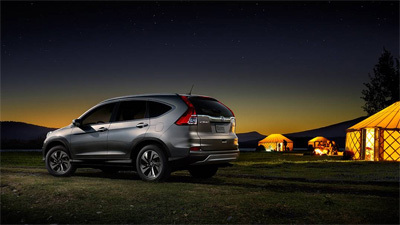 Everything that has made the crossover popular has carried over to the 2016 Honda CR-V, making it one of the most versatile, practical, and affordable vehicles on the road. 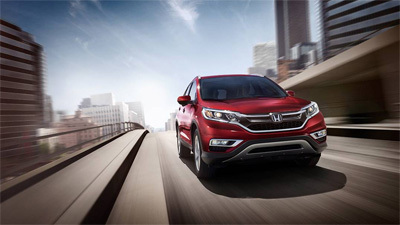 With engine specs like these, it’s easy to see how the CR-V is one of the best gas mileage SUVs in Mid-Michigan. 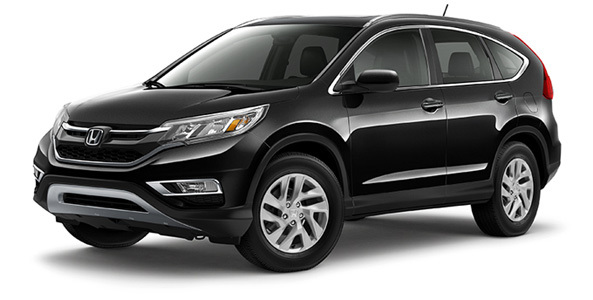 Under the hood of each 2016 CR-V is a 2.4L 4-cylinder engine with 185 hp and 181 lb-ft of torque. 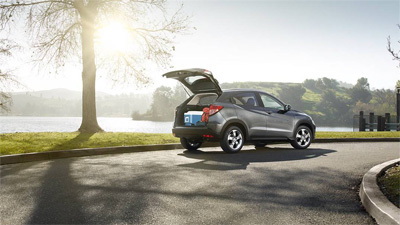 When you need more room than the spacious CR-V cargo hold has, this crossover can tow as much as 1,500 pounds. 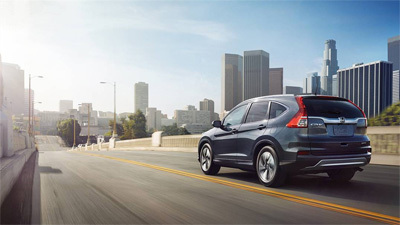 The CR-V is no stranger to awards, named to Kelley Blue Book’s Most Fuel Efficient SUVs of 2015***—and the 2016 model is just as economical. While the mid-range CR-V might be the “just right” that Goldilocks was looking for, we know that some drivers need something bigger. 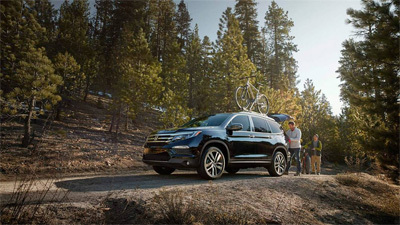 The 2016 Honda Pilot has seating for as many as eight passengers and features five different trim levels to offer all of the amenities a modern driver could want. 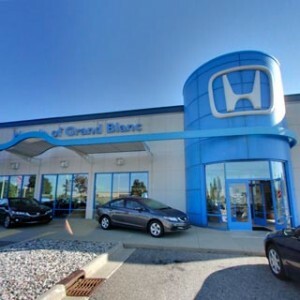 See the engine stats that make this one of the best gas mileage SUVs in the Mid-Michigan area. Under the hood of each of the five different trim levels is a 3.5L V6 engine with 280 hp and 262 lb-ft of torque. 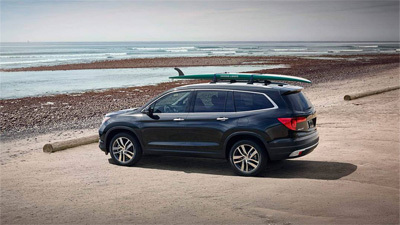 In addition to giving you added traction off-road and in snow, all-wheel drive upgrades the Pilot from a towing capacity of 3,500 pounds to 5,000 pounds. 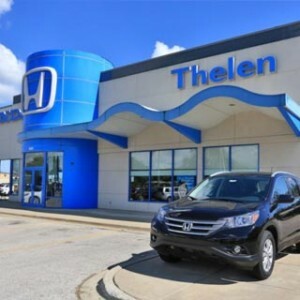 The Pilot has no trouble trouncing competitors like the Jeep Grand Cherokee or the Ford Explorer when it comes to fuel economy, either. 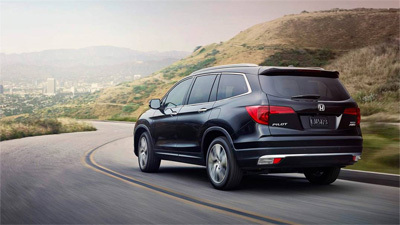 Honda Sensing safety features can be added onto the EX and EX-L trims—they come standard on Touring and Elite trims—and include adaptive cruise control, collision mitigation braking, lane keeping assist, road departure mitigation, and more. 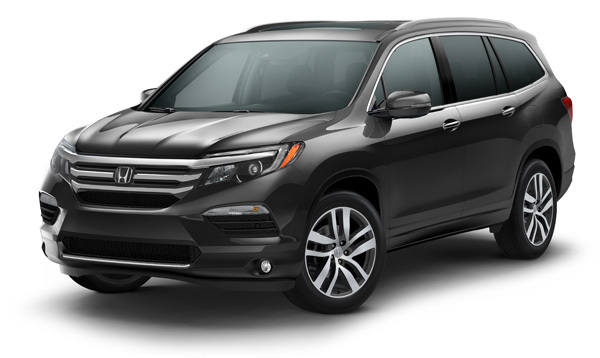 2016 Pilot models equipped with Honda Sensing have received a 2016 Top Safety Pick+ award from the IIHS, too. 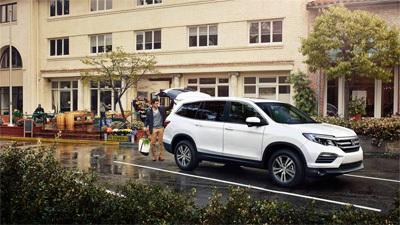 * And you can, of course, expect the same level of features as the HR-V and CR-V.
Let us help you decide which of these crossover models is the best gas mileage SUV for your budget. 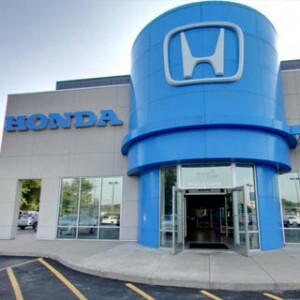 Visit a Mid-Michigan Honda Dealer near you today for a test drive.